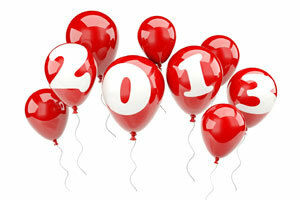 So you’re thinking of buying your first home in 2013. Let’s make sure you do it right! Buying your first home doesn’t happen overnight. With a little upfront planning, you will get through the entire process with your finances and sanity intact. Start now, though, because it does take some time to put together everything that you will need. Day Dream — Yep. Start there. How do you know if you are headed in the right direction if you don’t know where you are trying to get to? What do you value? Walking to work? Well, then that determines your location. Do you love to entertain and don’t have space enough in your current place, then make that a top priority. Really think hard about your day-to-day life and what you want in your next home. I personally must be able to walk to a gym and a grocery store—silly! But after two years of aimlessly searching, I bought a home the very day I figured out that requirement. What are your “silly” must haves? Do not skip this step. Test Out the Lifestyle — Really get to know the locations in which you are considering. Make this fun—go there for your normal activities such as coffee with friends, grocery shopping, or take your kids to the different playgrounds. Visit open houses to get a sense of pricing for the space and location. This will help educate you about the local market. My only word of caution about going to open houses—don’t fall in love with any house and buy it before moving on to step #3! Get Your Financial House in Order – Today lenders are more like mad scientists with large magnifying glasses, examining loan applications more closely and carefully than ever before. Plus, requirements for low interest rates are even more stringent, with having a decent credit score as number one on the list. So now is the time to monitor your credit and take the time to repair it. Don’t even think about making big purchases like a car in the coming months! Owning a home that is larger than you currently have requires a slew of extra and sometimes unexpected costs such as utility, maintenance, and repair costs. Make sure you budget accordingly. Let Go of the Fear – Of course buying a home is scary! It’s most likely the biggest financial decision of your life so far. Definitely slow down and take time to go through each of the steps I’ve outlined above. “Feel the Fear and Do It Anyway,” from Susan Jeffer’s book wonderfully states this advice. Start these important steps well before you’re ready to pull the trigger so that you get it right and you’ll feel more confident about your decisions along the way.